BOSTON (AP) – The brother of figure skater Nancy Kerrigan was charged with manslaughter in the death of their 70-year-old father in what prosecutors called a drunken rage during a trivial argument over use of the family telephone, the Middlesex district attorney's office said Thursday. 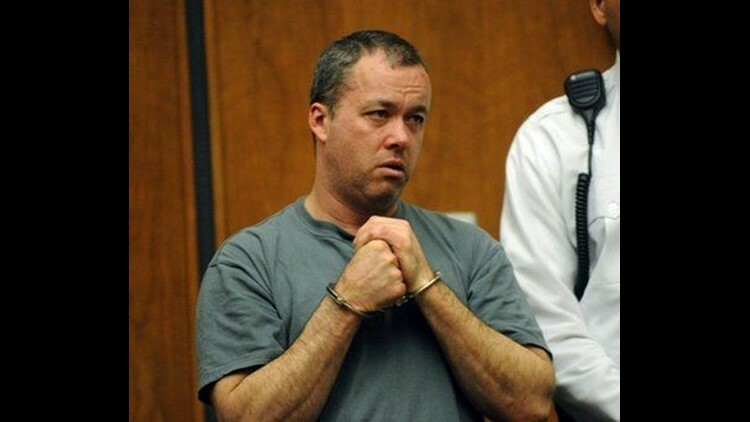 Mark Kerrigan, 45, was indicted by a Middlesex Superior Court grand jury in the Jan. 24 death of Daniel Kerrigan. He had already been charged with assault and battery on an elderly person resulting in serious bodily injury. Since being released on bail after a psychiatric evaluation, he has been living with his mother in the family's Stoneham home, where the alleged assault took place. Mark Kerrigan's "reckless actions and complete disregard for his father's safety and well-being" led to his death, District Attorney Gerry Leone said in announcing the indictment. "This defendant should have known that the cruel acts that he committed against his elderly father, including grabbing him by the neck with enough force to cause a fracture, were highly likely to result in substantial harm and endanger his father's life," Leone said. Members of the close-knit Kerrigan family have insisted they do not blame Mark Kerrigan for the death of his father, who had a pre-existing heart condition. They said in a statement Thursday that they were "deeply disappointed" in the decision to pursue a manslaughter charge. They said they look forward "to the facts being considered by an impartial jury." A state medical examiner said the cause of death was "cardiac dysrhythmia" — a loss or interruption of a normal heartbeat that can lead to cardiac arrest — after an altercation with neck compression that damaged his windpipe. The findings also noted that the elder Kerrigan had high blood pressure and clogged arteries. Kerrigan is scheduled to be arraigned Friday in Middlesex Superior Court in Woburn. The maximum sentence for manslaughter in Massachusetts is 20 years in prison. Leone described a chaotic scene that unfolded over hours and climaxed with the violent clash between Daniel Kerrigan and a drunken Mark Kerrigan claiming his father was "faking it." Police received a 911 call around 7:30 p.m. on Jan. 23 on reports of an altercation between Mark Kerrigan and a female acquaintance, Leone said. The woman said Kerrigan wouldn't let her leave the house. Daniel Kerrigan returned home to try to calm his son. Over the next six hours, Mark Kerrigan became drunk and repeatedly argued with his parents, trying to use the phone to contact the woman. He had already left more than a dozen messages on her cell phone, prosecutors said. After midnight, Mark Kerrigan went into his parents' bedroom, screaming obscenities and yelling about the telephone not working, authorities said. They went to talk to their son downstairs, where the argument escalated into violence, with their son pushing, grabbing and shoving his father, with several pictures knocked off a wall, prosecutors said. Mark Kerrigan grabbed his father around the neck, fracturing his larynx and causing him to fall to the floor on his back, unconscious, Leone said. Kerrigan's mother, Brenda, called 911; Mark Kerrigan is heard screaming obscenities at his father. When police approached Mark Kerrigan, he swore at them as they attempted to subdue him. Once handcuffed, Kerrigan acknowledged the fight but told police his father was "faking it," Leone said. Mark Kerrigan has a long criminal record, with convictions dating to 1991, including drunken driving, assault and battery, domestic assaults, resisting arrest and violation of a restraining order. His former lawyer said Kerrigan, an unemployed plumber, was on medication for post-traumatic stress syndrome and was seeing a psychiatrist. Kerrigan's family has challenged the medical examiner's findings. In a letter released in February, Nancy Kerrigan, a two-time Olympic medal winner, called the homicide ruling "unjustified" and said she and her family plan to "help my brother fight" the finding. Nancy Kerrigan, of Lynnfield, won the bronze medal at the 1992 Olympics in Albertville, France, and the silver at the 1994 Winter Olympics in Lillehammer, Norway. She won a gold medal at the 1993 U.S. Championships. She was at the center of a saga at the U.S. Championships before the 1994 Games, when an assailant clubbed her right knee during practice and an investigation revealed rival Tonya Harding had knowledge of the planning of the attack.